Challenge yourself and compete against others in this free month long fitness event. Did you know that stair climbing burns more calories per minute than jogging? 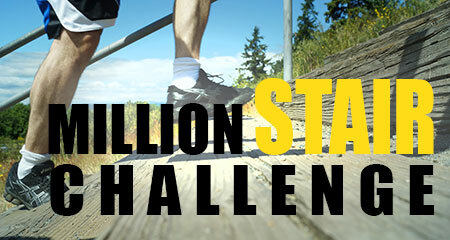 The City of Shoreline invites you to take advantage of the many benefits of stair climbing by competing in the 7th Annual Million Stair Challenge. The month-long challenge starts on June 1 and encourages you, your family, and your friends to climb as many stairs as possible in the name of health, fitness, and friendly competition. We started this popular health and fitness event in 2012 as a way to bring attention to the benefits of stair climbing. 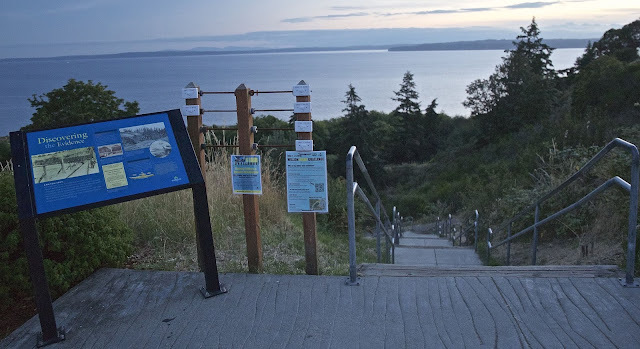 It also provided a great opportunity to draw people out to Richmond Beach Saltwater Park, famous for its sweeping view of Puget Sound and its large bank of 188 steps leading up from the water. You can climb the stairs at Saltwater Park or anywhere else you choose, including at work or home or at your favorite climbing spot in or outside of Shoreline. There is no need to sign up, just log your total flights each day in the online tracking system and see your totals and standings posted in real time on the website. Along with creating some friendly competition, you are encouraged to set a personal goal for the month, with small prizes awarded if you reach your goal. At the end of the challenge, we invite all participants to a closing potluck on Saturday, June 30 at 6:30pm at Richmond Beach Saltwater Park, 2021 NW 190th St. Bring a dish to share and join us at the picnic shelter located at the bottom of the stairs. We will award prizes to participants who make their climbing goals. More details on the Million Stair Challenge HERE or contact Recreation Specialist Marianne Johnson at 206-801-2638 or mjohnson@shorelinewa.gov.